The Page collection offers cool contemporary style for semi-formal and casual dining spaces in your home. These sturdy pieces are constructed of select hardwoods and oak veneers, featuring either an Antique Oak or dark Cappuccino finish that is sure to complement your home decor. 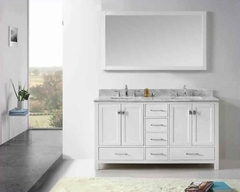 Clean lines and simple classic style make these pieces a nice choice for your home. 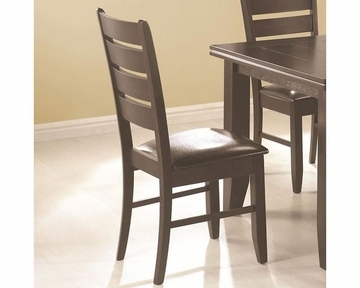 This contemporary slat back side chair is perfect for your casual or semi-formal dining room. With a simple slatted back, clean square legs, and a comfortable padded upholstered seat, this chair makes for an inviting space in your home. Seat upholstery is durable for everyday use.